We are a small family-owned company based in the village of Wherwell, by the River Test in Hampshire. 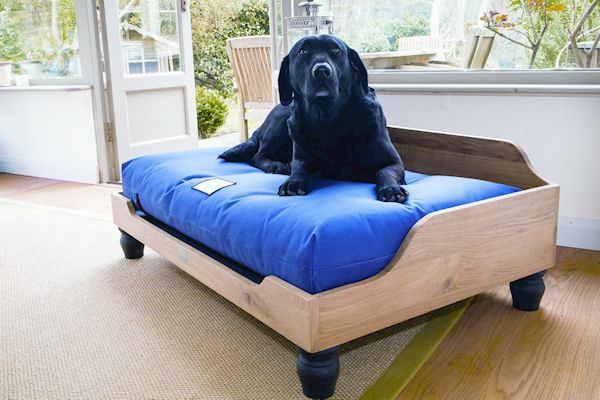 We have one big ambition – to make the very finest British dog beds. 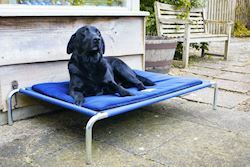 Dog beds that are stylish and luxurious yet, at the same time, totally practical, super-comfy and built to last. 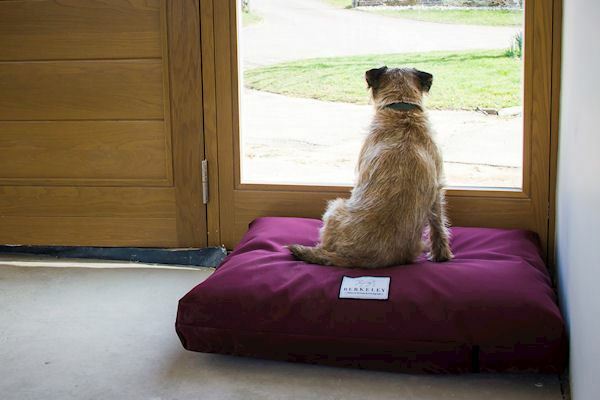 We want to make smelly, damp, shapeless, flimsy dog beds very much a thing of the past. 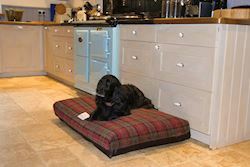 Drawing on our own experience as lifelong dog lovers and owners of working Labradors for over 30 years we have adopted a completely fresh approach to dog bed design and construction using the latest in mattress technology and the best available choice of natural fillings and materials to create a range of truly innovative dog beds and related accessories. The product range includes our flagship Waterproof Orthopaedic Mattress which uses pocket spring technology for the ultimate in comfort and joint support, our tough, inexpensive steel frame Premium Raised Dog Beds, a handy Travel Dog Bed and our Wooden Dog Bed Frame that is handmade in solid English Oak. We also offer a wide range of fully washable, removable bed covers, quality vet bedding, luxury blankets and throws. In short, we design and manufacture a comprehensive range to ensure that your valued pet has the best, most comfortable sleeping accommodation possible thus contributing to a longer, healthier and happier life. We are pleased to offer all members an introductory 10% discount off any items listed on our online shop. Simply enter the Voucher Code lifestyles10 when checking out. We are always delighted to help!